Remove the sleeve and open the box. 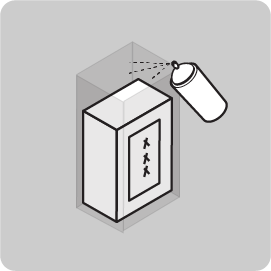 Remove the spray bottle, humidity tent and alcohol swab. 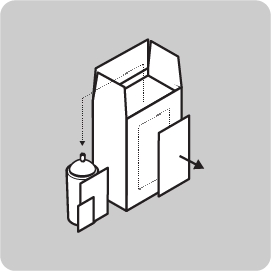 Open the perforated window in the front of the box and expose the mushroom bag. Close the top of the box. Sterilise the exposed area of the inner plastic bag using the swab. 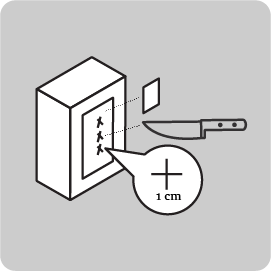 Using the swab sterilize a sharp knife and cut 3 “X” shaped slits 1cm * 1cm in the front of the inner bag. They may seem small but trust us – we’ve done this before. Place the box in the humidity tent indoors, in a light area and out of direct sunlight! Keep the top of the humidity tent open to allow airflow around your mushrooms. Humidity is really important for your mushrooms to thrive. Spray the inside of the humidity tent 2 to 3 times a day. Your mushrooms should start growing within 15 days. Place your oyster mushrooms in a well lit area- but not direct sunlight! The rule of thumb is that if there is enough light for you to read in, there is enough light for your mushrooms to grow. 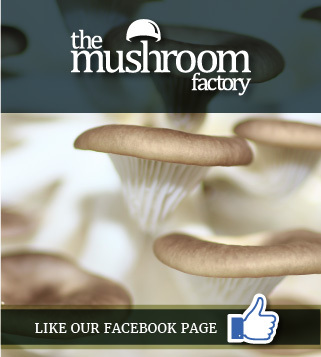 Good movement of air is important for healthy mushroom growth. Fan your mushroom to circulate the air in the humidity tent when you water to keep your mushrooms happy. You will soon see if your mushrooms aren't getting enough air - they will develop long spindly stems and small caps. Water your mushrooms by spraying water on to the window and the humidity tent surface 2-3 times a day. Great Product, this is the second time I've bought from them and I would buy again. Great gifts! Unbelievable service. Seller organised delivery in spite of public holiday AND gift wrapped when realised it was a present. Thank you.